If your hens lose feathers and look scruffy but it's not molting season, it could be that year-round laying is taking its toll on their systems. 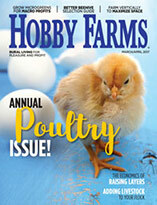 April’s arrival typically means that hens throughout the U.S. are starting to lay eggs again. For some chicken-keepers, though, production never wanes over winter thanks to artificial lighting that keeps the girls laying through the darkest months of the year. 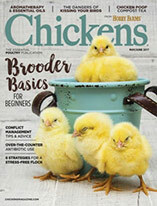 Having a continual supply of eggs is gratifying, but this poultry resource is not without its pitfalls. If your hens are looking severely scruffy, with bald patches and places where feathers just can’t seem to stay in, don’t despair. They’re not sick, and they definitely don’t need culling. What they need is a vacation. Egg-laying is serious business for your backyard bunch. In addition to water, the key components of egg production are protein and calcium, which are drawn from the bones (calcium) and feathers (protein) of the laying hen. As a result, the best layers in a flock tend to be the scruffiest in appearance, while the slackers look sleeker. 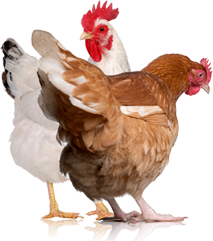 Rations specially formulated for layers as well as supplements such as crushed oyster shell replenish the nutrients that laying hens extract from their bodies. This continual replenishment, however, is not enough, especially for prolific production breeds such as Leghorns, Plymouth Rocks and Rhode Island Reds. In addition to nutrients, a hen needs a break from egg production in order to let her body recuperate from the trauma caused by tapping into her own body’s building blocks. This off time begins automatically as daylight decreases. Once there are fewer than 14 hours of daylight, egg production diminishes as a hen’s reproductive systems begins to go dormant for the season. While some hens might continue to lay an egg per week, the majority of layers cease production and start again once they’ve been exposed to sufficient sunlight, typically when April rolls around. Girls who are not given the winter off to recover end up overtaxing their bodies to keep their reproductive systems going. This stresses their bodies even further, causing them to develop a more ragged, undernourished appearance. New feathers, which typically grow back during the layers’ hibernation, are almost immediately subsumed, lost to fuel egg production. Hens who lay continuously throughout the year not only end up looking like ragamuffins, they also tend to have a shorter life span than girls who get winter vacations. 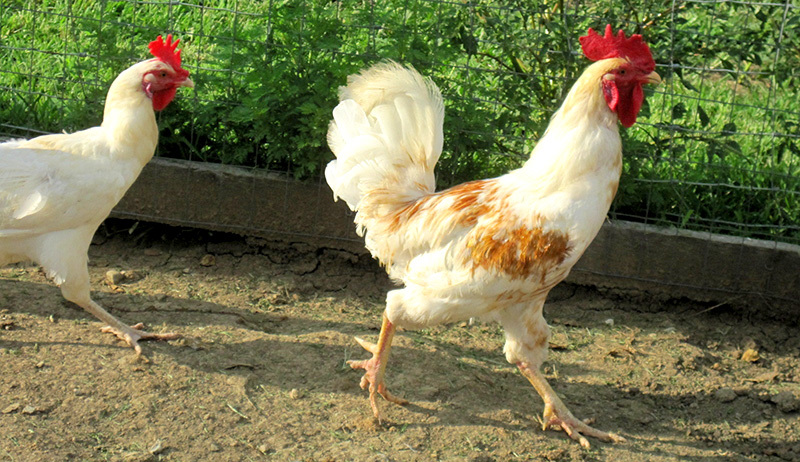 If your hens appear shabby and threadbare, with weak, stubbly feather growth, there is hope. First, make absolutely certain that your flock’s diet contains enough protein and calcium to support egg production. Adding a protein supplement such as Calf Manna to the hens’ feed will help provide them the nutrients they need to replenish their feathers and overall bodies; switching to a gamebird feed or chick starter—any ration that has a high protein percentage—will also accomplish this. Next, let your hens rest over the winter, with only natural lighting in their coops (windows, yes; artificial illumination, no). You might have to give up Sunday morning scrambles and, quite possibly, Easter-egg dyeing, but the end result—healthier, happier hens—is well worth the sacrifice.